Bell Bridge Books, 9781611942026, 258pp. Can a first-grade teacher from Grace, Alabama stop a terrorist group from its deadly mission? Can she trust her heart again? Former Air Force scientist Dr. Julia Warner-Hyde went into hiding three years ago to escape her abusive ex-husband. Her new life as a small town school teacher is safe and peaceful-until her old lab partner, Dr. Seth Holt, arrives. Terrorists have stolen the missile system Seth and Julia designed, and they fully intend to use it. Seth needs Julia's help to find, outwit and halt them, but he and she didn't part on the best of terms. He doesn't know that Julia has a secret enemy who might kill them both. Can she fight that threat and the terrorists-all while keeping Seth in the dark? How can she refuse to try, with millions of lives at stake? Vicki Hinze is the award-winning author of 30 novels, 4 nonfiction books and hundreds of articles, published in as many as sixty-three countries. She is recognized by Who's Who in the World as an author and as an educator. 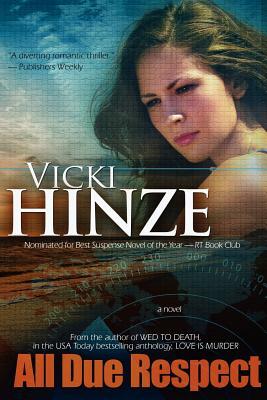 For more information, please visit her website at www.vickihinze.com.